Canon EF – S 17 – 55mm f/2.8 IS USM lens is especially designed for Canon’s DSLR cameras to meet the demands of users. This amazing EF – S zoom lens was launched in 2006. 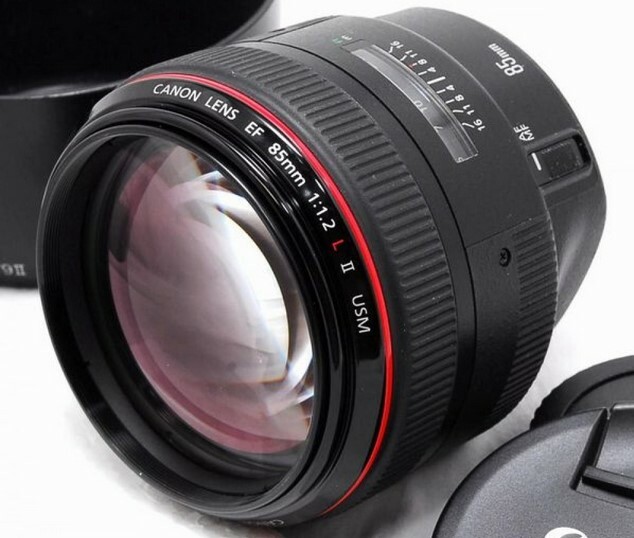 Canon EF – S 17 – 55mm f/2.8 IS USM lens is one of the most accepted lens with a highest image quality, a very famous focal length range of 17-55mm, large f/2.8 aperture and 3 – stop Image Stabilization or Image Stabilizer (IS). Measuring 110.6 mm in length x 83.5 mm in diameter / 4.4 inches x 3.3 inches and weighing 22.8 oz / 645 g, the lens has brilliant and solid build quality. The external construction of the Canon EF – S 17 – 55mm f/2.8 IS USM lens is made up of polycarbonate. The lens is compatible with Canon EF 12 II extension tube, EF 25 II extension tube and EOS Digital Rebel series. With an inner focusing, AF algorithms and a ring type USM (Ultra Sonic motor), the standard zoom lens attains autofocus quietly, very fast and quickly and with FTM (full time manual) focusing, it adjusts focus even in AF (autofocus) mode. The focal length range of EF-S 17-55mm lens is equivalent to 27mm-88mm. Canon EF – S 17 – 55mm f/2.8 IS USM lens has optical Image Stabilizer technology which is specially designed to compensate with shift and angular camera shake and it also provides slow shutter speeds. This makes sure crisp, sharp and clear images even in low light conditions. The optical structure of Canon EF – S 17 – 55mm f/2.8 IS USM lens is made of 12 groups including 19 elements with 2 super Ultra – low dispersion (UD) glass plus 3 aspherical elements. These super UD glass and aspherical elements deliver an excellent image quality during zoom range. 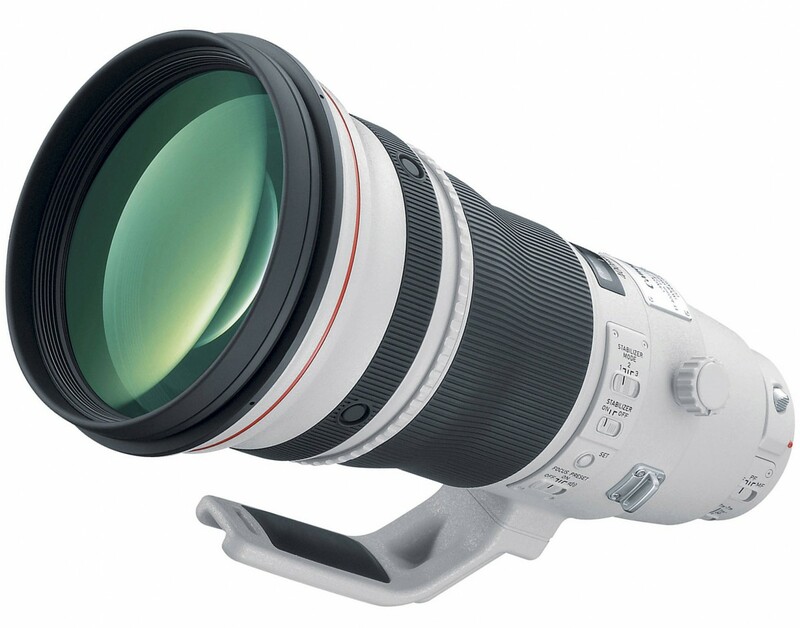 The standard zoom lens features 7 rounded diaphragm blades. The lens is sharp wide open at f/4 throughout its all focal length range. The filter size is 77 mm. The prime lens has maximum and minimum aperture range of f/2.8 and f/22 respectively. Super Spectra coatings minimize ghosting and flare and ensure high contrast and accurate color balance. The horizontal, diagonal and vertical angle of view of this Canon EF-S 17-55mm f/2.8 IS USM lens are 68°40′ – 23°20, 78°30′ – 27°50′ and 48° – 15°40′. The Canon lens is much better than EF S 17-40mm f4L USM lens in terms of sharpness and fast aperture. Chromatic aberration (CA) and distortion level are well controlled in Canon EF S 17-55mm f2.8 IS USM lens. This wonderful 17-55mm USM lens is inexpensive therefore it is easily accessible to all serious and proficient photographers. The focus and zoom rings operate moderately quiet and smooth. The Canon introduced its world’s first super telephoto Canon EF 600mm f/4.0 L IS USM lens with an Image Stabilizer (IS) in September, 1999. The Canon EF 600mm f/4.0L IS USM lens is 10 g lighter than Canon EF 400mm f/2.8 L IS USM lens and Canon’s longest and inexpensive (it is less expensive than Canon EF 800mm f/5.6 L IS USM lens) EF lens. The 600mm super telephoto lens weighs 5.36 kg / 11.8 lb and measures 168 mm in diameter and 456 mm in length. Like all Canon’s other super telephoto lenses, the Canon EF 600mm f/4.0 L IS USM lens has an excellent build quality. The f/4.0 USM lens features one fluorite element and two UD glass elements to acquire high contrast, high resolution and eradicate secondary CA (chromatic aberration). The Canon EF 600mm f/4.0 L IS USM lens utilizes inner focusing with Ring USM (ultra sonic motor) for high speed, very fast, quiet and silent autofocus. The telephoto prime lens has full time manual focus (FTM) with an amazing AF speed which is fastest in the world. Canon EF 600mm f/4.0 L IS USM lens has remarkable focal length range of 600mm that can be increased to 1200mm with the attachment of Extender EF 2x II. The 600mm camera lens is most suitable for wildlife and sports photography. The fantastic L series lens comprises 17 elements within the 13 groups including one fluorite element and two UD (Ultra – low dispersion) glass elements. The closest focusing distance has been reduced to 18 ft / 5.5 m. With 8 wide aperture blades, the lens eliminates background disturbance and provides smooth and stunning background blur (bokeh). The metal is used in lens barrel and mount. The minimum and maximum aperture of the prime lens is f/32 and f/4.0 respectively. The Canon EF 600mm f/4.0 L IS USM lens has two stage image stabilization to correct camera shake and delivers highest image quality. The high performance prime lens has 35 mm image circle, 52 mm DI (Drop In) filter size, detachable tripod collar and focus preset function. The popular USM lens produces clear and very sharp images. A Ring USM (Ultra – sonic motor), image stabilization (IS) and impressive focal length range are the key features of Canon EF 600mm f/4.0 L IS USM lens that makes it perfect lens for all proficient and serious photographers. The lens is moisture and dust resistance to get superb sharpness and higher quality. The lens has maximum magnification of 0.12x. 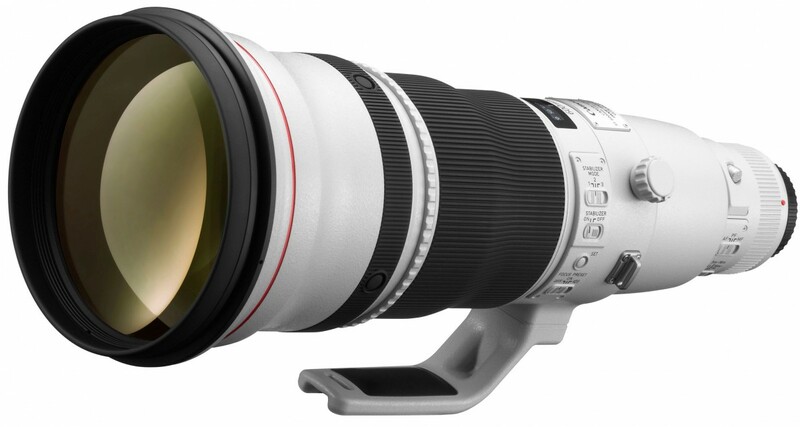 The super telephoto lens delivers superb performance with the Canon Extender EF 1.4x II and Canon Extender EF 2.0x II. Canon EF 400mm f/2.8L IS USM lens is a super telephoto standard lens with long aperture f/2.8 for numerous professional nature and sports photographers. The 400mm USM super telephoto lens features latest image stabilization technology with an average weight (11.8 lb / 5.37 kg), superior handling and super fast AF speed among all 400mm f/2.8 lenses. This super telephoto lens weighs 10 g more than the Canon EF 600mm f/4.0L IS USM lens and 3.3 lbs heavier than the Canon EF 600mm f/4.0L IS USM lens. The lens attributes superb color balance, an excellent contrast and superior optical quality. The barrel and external parts of the Canon EF 400mm f/2.8L IS USM lens are made of magnesium alloy. The lens offers superior moisture and dust proof performance. Distortion level is very low as well as vignetting and chromatic aberration (CA) is very well controlled. The lens has 2 UD glass elements and 1 fluorite element to get rid of secondary chromatic aberration and employs high contrast and high resolution. The Canon EF 400mm f/2.8L IS USM lens features a ring type USM (Ultra Sonic Motor) and an advanced AF drive algorithm that make the autofocus speed much better or fastest in the world with EOS – 3 and EOS – 1v. The full – time manual focus exits in this 400mm zoom lens. The lens has focus preset and AF stop attributes same as the Canon EF 300mm f/2.8L IS USM lens. The lens has unique lens composition of 13 groups containing 17 elements with 1 flourite element and 2 Ultra – low dispersion (UD) elements. Just like its other siblings in 400mm f/2.8 lineup, it does not extend throughout focusing and zooming range. Released in 1999, the Canon EF 400mm f/2.8L IS USM lens performs well with Canon Extenders and offers an excellent image quality. The zoom lens becomes Canon EF 800mm f/5.6 lens and Canon EF 560mm f/4.0 lens by using 2x Extender and 1.4x Extender respectively. With a minimum focusing distance of 9.8 ft / 3 m and maximum magnification of 0.15x, the lens shows best results in image sharpness, an excellent bokeh (background blur quality) and Image Stabilizer (IS). The EF 400mm USM lens supports DI (Drop In) 52 mm filter size. The Canon introduced its first telephoto prime tilt – shift Canon TS-E 90mm f/2.8 lens in April, 1991. With the tilt – shift capability, the wide angle lens can control the image’s perception and the angle of plane focus. The tilt – shift functions can be used combined or independently to correct secondary distortions, control over the zone of focus and adjust the shooting or zooming range. The tilt and shift functions also produce special effects which is impossible for ordinary lenses. The Canon’s 90mm telephoto lens is extremely sharp with an amazing saturation and high contrast. The 90mm f/2.8 lens is the lightest and smallest lens with the weight of 19.9 oz / 565 g. The lens measures 88 mm in length x 74 mm in diameter / 3.5 in. x 2.9 in. Canon TS-E 90mm f/2.8 tilt – shift lens is extremely wide open from corner to corner on a full frame body and slightly sharper than the Canon TS-E 45mm f/2.8 tilt shift lens. The Canon TS-E 90mm f/2.8 tilt – shift lens presents floating optical system with polished and ground Aspherical front element which makes this prime lens more sharp from infinity down to 0.3 m / 1 ft and offers distortion free superb image quality. The rubberized focus ring of the lens is very smooth and properly sized. Both full depth of field and distance scales are available. The Canon TS-E 90mm f/2.8 lens has a 58 mm filter size which is smallest among the Canon’s others TS – E lenses. The lens barrel and mount of the telephoto prime lens is made up of metal. The lens offers an excellent picture quality and superb color balance with the help of impressive 8 diaphragm blades. CA (chromatic aberration), distortion and vignetting are very well controlled. The optical construction of the Canon TS-E 90mm f/2.8 tilt – shift lens made of 6 elements in 5 groups. Gaussian optics delivers terrific bokeh (background blur quality) and high – quality delineation. The diagonal angle of view of this wonderful lens is 27°. 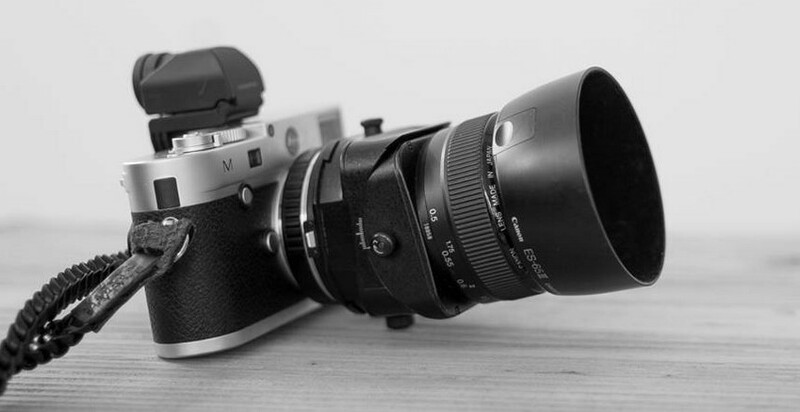 The lens utilizes linear extension system and manual focus. The lens is supreme tool for more advanced and unique photography. The lens shows awesome results when used for landscape, portrait and product photography. This lens has a focal length range of 90 mm and maximum magnification of 0.29x. The lens is compatible with APS – H, APS – C and full frame cameras. The Canon 12mm Extension tube and 25mm Extension tube allow magnification of .43x and 0.6x respectively. Max Length at Full Extension – 3.9 in. Canon EF 70-200mm f/2.8L IS USM lens is one of five and the most prominent lenses in the Canon’s telephoto zoom lens lineup. Introduced in August 2001, the lens is suitable for portrait, press, outdoor, general wildlife and sports photography. The 70-200mm zoom lens has high contrast visual capability, high – resolution, and moisture – and dust resistance that make it the most vigorous and advanced lens in Canon series. Combining a very valuable focal length range of 70-200mm with proficient build quality, superb image quality, tremendous autofocus performance, precious 3 – stop Image Stabilization (IS) and a hasty aperture that make the Canon EF 70-200mm f/2.8L IS USM lens unique and affordable for fresher and specialized photographers. The lens performs well from the corners with a full frame body. Using 8 circular diaphragm blades, the Canon EF 70-200mm f/2.8L IS USM lens provides an excellent background / foreground blur quality. The Canon EF 70-200mm f/2.8L IS USM lens features 18 groups containing 23 elements including 4 UD (Ultra – low dispersion) glass elements to reduce chromatic aberration. The lens comes with a removable tripod mount. The Canon EF 70-200mm f/2.8L IS USM lens utilizes a ring type USM (Ultra Sonic Motor) technology to get quiet, fast and almost silent autofocus. FTM (full time manual) focusing is allowed which is very quick and smooth. The lens has the maximum and minimum aperture of f/2.8 and f/32 respectively and accepts filter size of 77 mm. The Canon’s EF mount can be used with APS – C DSLR and 35 mm full – frame cameras. The lens has an average weight of 1.47 kg / 51.9 oz and it measures 86.2 mm / 3.4 inches in diameter and 197 mm / 7.8 inches in length. The front element of the lens does not rotate so there is no problem to use polarizing filters. The focus limiter switch is available to improve AF system performance. The Canon EF 70-200mm f/2.8L IS USM lens is comparable to the Canon EF 70-200mm f/4.0L IS USM lens in terms of optical quality and performance. The Canon’s telephoto zoom lens features 2nd generation 3 – stops optical Image Stabilization technology that corrects all kind of camera shakes. The lens is compatible with EF 25 II extension tubes and EF 12 II extension tubes. The lens has higher maximum magnification of 0.17x and shorter closest focusing distance of 1.3 m / 4.3 ft than its previous non – IS version Canon 70-200mm f/2.8L lens. The build quality is pretty awesome. The high quality plastic is used in outer barrel of the lens with metal mount. The f/2.8 zoom lens is also compatible with Canon EOS DSLR cameras and Canon’s EF 1.4x II Extender. Canon EF 50mm f/1.8 II lens is the shortest and lightest EF lens specially designed for Canon EOS system. The lens provides just about 80 mm field of view when attached with the digital SLR camera. With the fast aperture of f/1.8, the 50mm standard lens is an excellent lens for those people who prefer sharp performance and a fixed focal length. The Canon EF 50mm f/1.8 II standard lens uses traditional micro motor not including FTM (full – time manual) focusing. The AF (autofocus) seems to be very fast. 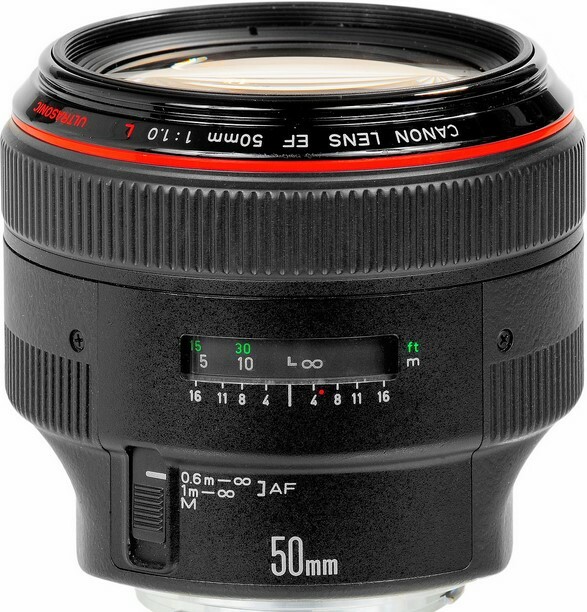 The Canon EF 50mm f/1.8 II lens utilizes linear extension system for focusing (it is very similar to extension tubes). An excellent sharpness is the main key feature of Canon EF 50mm f/1.8 II lens. This lens is a bit sharper than the Canon EF 24 – 70mm f/2/8 L USM Lens. Released in December 1990, the lens performs well in low light conditions. The Canon EF 50mm f/1.8 II lens replaced its previous version Canon EF 50mm f/1.8 lens. The lens comes with a plastic lens mount not including IR focusing, manual focusing ring and a distance scale. The front lens element does not rotate thus it is easy to use polarizing filters. The Canon EF 50mm f/1.8 II lens is a relatively low cost lens with a minimum focusing distance of 1.5 ft / 0.45 m providing impressive maximum magnification of 0.15x. Because of its sharp quality and inexpensiveness, it is also called “plastic fantastic” and “nifty fifty”. The standard prime lens attributes 8 diaphragm blades and a filter size of 52 mm. The optical construction of the Canon EF 50mm f/1.8 II lens includes 5 groups containing 6 elements without any extra element. The lens is very lightweight at just 130 g / 4.6 oz and it is also extremely compact with small size of 1.6 inches / 41 mm in length and 2.7 inches / 68 mm in diameter. Build quality, Color balance and Contrast are decent. The diagonal, horizontal and vertical angle of view of this standard prime lens are 46°, 40° and 27°. CA (chromatic aberration) is negligible. The Canon EF 50mm f/1.8 II lens is least expensive compared to Canon EF 50mm f/1.4 USM lens. The lens has an attractive and unique look. Introduced in September 1989, the Canon EF 85mm f/1.2L USM lens is one of the greatest telephoto prime lenses with large aperture of f/1.2, notable focus length range of 85mm and superior build quality. The body and mount of Canon EF 85mm f/1.2L USM lens are constructed with metal. EF 85mm f/1.2L USM lens is intimately comparable with Canon EF 85mm f/1.8 USM lens. The telephoto lens is similar to Canon EF 85mm f/1.8 USM lens in sharpness and it performs very well with wide aperture and low light situations. The Canon EF 85mm f/1.2L USM lens uses a ring type USM (Ultra Sonic motor) to attain quick, fast, accurate and silent autofocus. Moreover, FTP (full time manual) focus is available in this telephoto lens. The minimum focusing distance and maximum magnification of this lens is 0.95 m / 3.1 ft and o.11x in that order. The lens has a floating optical system with one aspherical element to reduce aberrations and make sure an excellent and accurate image performance. It also corrects comma for superb picture quality. The horizontal angle of view of the prime lens is 24°, vertical angle of view is 16° and by diagonally, it is 28°30′. Optically, the construction of the lens is made of seven groups with 8 element including 1 aspherical element and 2 high refraction elements. With the help of these aspherical and high – refraction elements, the telephoto prime lens produces very sharp and clear picture quality. There are 8 diaphragm blades and it accepts filter size of 72 mm. high quality plastic and metal is used in outer barrel and mount respectively. The Canon EF 85mm f/1.2L USM lens produces an excellent background blur quality with an amazing focus length range. The lens’ front element does not rotate but it extends when zooming or focusing. AF (autofocus) speed is pretty quiet and fast. The camera lens is protected from moisture and dust. The 85mm lens weighs 2.3 lb / 1.025 kg and measures 84 mm in length x 91 mm in diameter (3.3 inches x 3.6 inches).